The placenta is an amazingly unique organ. It grows with the baby from the very first cell divisions, so it can begin its important work of providing nourishment as soon as possible. It is the direct physical link between the mother and child, and as such, may even provide comfort to the baby. They grow together, entwined and connected in the womb. At the time of birth, the placenta maintains its connection to the womb as long as possible, to continue sustaining life until the baby's arrival into the outside world. Once baby is born, the placenta detaches from the uterine wall and is also born, as it is no longer useful to the mother or baby in the way it has been throughout pregnancy. However, its usefulness can continue for the mother into her 4th trimester and beyond if consumed. Today, the most common way to consume your placenta is to have it encapsulated. In the Traditional Chinese method, the placenta is cleaned, steamed with lemon, ginger, and a pepper, dehydrated, ground into a fine powder then placed into vegetable capsules for easy consumption. Overall hormonal balance in your body, specific to you! 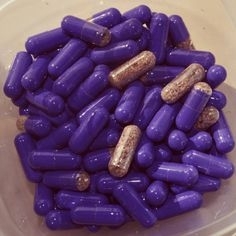 Your placenta will yield approximately 60-120 pills. If stored properly, they will last you for months. They benefit you most in the immediate postpartum days, and should be taken as a supplement after the first 10 days. The placenta tincture is used for hormone balance after you finish your pills. It is made with organic vodka and a piece of raw placenta. This keeps indefinitely if stored properly, in a cool, dark cabinet, and you can always continue to add vodka to the bottle for extended use.